Functional, strong, elegant: Tognana Porcelain is designed and produced to guarantee the highest quality standards, because dressing a table always requires taste, elegance and experience. Tognana product range is wide and highly diversified for being able to fully satisfy requirements of furniture and style of Ho.Re.Ca sector: it is possible in fact to choose from a large variety of shapes and dozens of colors, all completed by a rich range of accessories, because aesthetic factor and functionality of every piece of furniture contribute to raise the value of the offered service exalting aromas, scents and emotions through elegant details. Tognana Porcelain is subjected to careful and rigorous laboratory controls, also in collaboration with the Ceramic Centre of Bologna and the Experimental Station of the Glass of Venezia. The elevated quality standard of our products is guaranteed by tests of washing with industrial dishwashers, of abrasion and of mechanical resistance. Our glazes, including those used for decorations, are verified by the american Food and Drug Administation and perfectly meet the requirements demanded by the strict U.S. Proposition 65” in relation to the presence of heavy metals. Tognana Porcelain also possesses a high capacity of absorbing the heat and of releasing it slowly, ensuring that food and hot-drinks remain hot over time. All products for hotels and restaurants, have the edge glazed and the foot smoothed in order to avoid any unpleasant scratches on your tables, placeholders or when the pieces are stacked on top of one another. With the purpose to rationalize the use, tea and cappuccino cups, soup cups and mugs can be used with the same saucer. Tognana Porcelain is made of automelting and not much dilated materials, shaped by isostatic molds that guarantee perfect and uniform density: do not leave residual stresses which may trigger damage during use. The elevated cooking temperature to which our Porcelain is exposed guarantees a high resistance to abrasions and scratches caused by normal table utensils. This is important not only from an aesthetic point of view, but - most important - hygienic. Tutti i decori dei prodotti destinati al settore alberghiero e della ristorazione sono resistenti al lavaggio in lavastoviglie: l’elevata temperatura di cottura consente la fusione della vernice in modo che il decoro penetri in essa e vi resti inglobato e quindi protetto, per sempre. 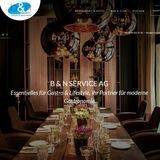 All decorations of products for the hotel and restaurant sector are dishwasher-safe: the elevated cooking temperature allows the fusion of glaze so that the decoration penetrates and remains incorporated and then protected, forever. L’inizio dell’attività industriale nel settore deilaterizi della famiglia Tognana risale al 1775. L’attuale azienda ceramica nacque nel 1946,passando in breve dalle maioliche alla porcellana, realizzata con sistemi tradizionali di cottura, sinterizzazione e vetrificazione. Nel 1966 venne inaugurato lo stabilimento a Casier (TV), ancora oggi sede dell’azienda. Qui si realizzano i prodotti “made in Italy”, si trovano magazzini e infrastruttura logistica, il centro direzionale, commerciale, di ricerca e sviluppo. Nel 1985 iniziano le collaborazioni con designer di fama mondiale che arricchiscono l’offerta di Tognana Porcellane affiancando nuove linee al marchio Andrea Fontebasso 1760, firma storica della miglior manifattura italiana. The beginning of the industrial activity in the clay industryof the Tognana family dates back to 1775. The current ceramic company was founded in 1946, going,in a short time, from pottery to Porcelain, made using traditional cooking, sintering and vitrification methods. In 1966, the factory in Casier (TV) was inaugurated, where the company is still located today. Here, “Made in Italy” products are made and there are the warehouses, logistics infrastructure and the administrative, commercial, research and development centre of the company. In 1985, the company started collaborating with world-famous designers who have increased the offer of Tognana Porcellane, adding new ideas to the Andrea Fontebasso 1760 brand, the historical signature of thebest Italian manufacture. Il 2000 segna una svolta per Tognana Porcellane che viene acquisita dal Gruppo Morosi. Lâ&#x20AC;&#x2122;azienda, in pochi anni e grazie ad importanti investimenti, si trasforma da importante realtĂ manifatturiera ad affermata azienda internazionale che vende oltre 25 milioni di pezzi ogni anno. Nel 2009 Tognana Porcellane si lancia in un nuovo mercato: la cottura. Lâ&#x20AC;&#x2122;esperienza imprenditoriale e la conoscenza dei desideri dei consumatori hannno permesso a Tognana di posizionarsi tra i grandi marchi storici della cottura, innovando il settore con design esclusivi e brevetti per il risparmio energetico. The year 2000 marked a turning point for Tognana Porcellane which was acquired by the Morosi Group. The company, in a few years and thanks to significant investments, went from being an important manufacturing company to an established international company selling over 25 million pieces each year. 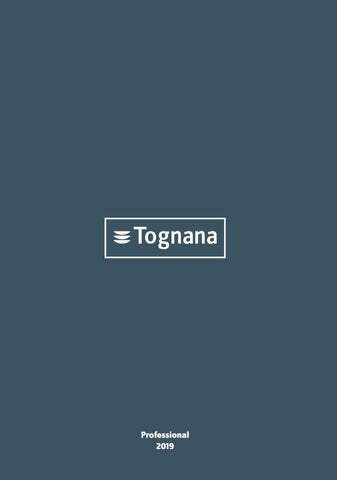 In 2009 Tognana enters into a new market: the cooking. The business experience and knowledge of consumer needs allowed Tognana to position itself among the great brands of cooking, by innovating the industry with exclusive designs and new patents. Nel 2016 Tognana festeggia il suo settantesimo compleanno continuando a presidiare sia i canali della vendita al dettaglio sia la grande distribuzione organizzata e HO.RE.CA.. Propone prodotti che mescolano tradizione e tecnologia, oggetti che rispondono in modo puntuale alle evoluzioni del mercato e degli stili di vita. In 2016 Tognana has celebrated its seventieth anniversary continuing to oversee retail channels and large retail and HO.RE.CA. chains, offering products that combine tradition and technology, items that respond to the changing market and lifestyles in a timely manner. Let'' s do... Organic !! Let'' s do... Green Organic !! The company reserves the right to make all the necessary changes for the purpose of constant improvement of quality, whit no obligation to give prior notice. The colours as reproduced are not binding, since reproduction on paper can cause differences in shade with respect to the originals. All sizes must be checked with the price-list.